The outline of Japanese health system is discussed in relation to treatment of hereditary colorectal cancer. 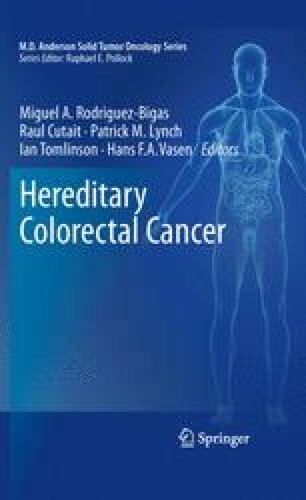 In the discussion, continuous support for patients and family members with hereditary colorectal cancer (familial adenomatous polyposis) is emphasized. It includes genetic counseling for hereditary colorectal cancer, and the activities of self-help groups. To achieve the lifetime well-being of patients with hereditary colorectal cancer, it will be necessary to know how the patients were treated and their results. We show the recent status of FAP in Japan. Wetz DC, Fletcher JC, Berg K. Review of ethical issues in medical genetics: report of consultant of WHO. 2003. (http://who.int/entity/genomics/publications/en/ethical_issuesin_medgenetics%20report.pdf).